Introducing King's Gate, a vibrant new community set on the edge of the bustling market town of Amesbury. Situated just 8 miles north of Salisbury, Amesbury is a great location for young families, couples and those who work in the city but want to live in a rural setting. With a history dating back to 8,000BC, Amesbury is officially the UKs oldest occupied settlement, and today offers excellent facilities for residents and visitors alike. There are a range of local shops and supermarkets to choose from as well as local surgeries, sports facilities and much more. This new community offers residents of King's Gate a beautiful new home, in a fantastic location with attractive surroundings. Amesbury itself is surrounded by beautiful landscapes, with the historic Stonehenge just 20 minutes away and a number of nature reserves nearby. Residents living at King's Gate will benefit from an excellent quality of life in this idyllic location. Known for its countryside settings and greenery, Amesbury is a popular and upcoming place to live. There are several highly rated schools within Amesbury and Salisbury; Amesbury Church of England Primary School and the Godolphin school to name just a few; all of which can be easily reached by car or via public transport. Amesbury also benefits from excellent transport links, allowing you easy access into the city of Salisbury for both work and leisure. This new development also gives you easy access to the M27 and other main A roads. At king's Gate Amesbury, you'll be conveniently placed in a rural setting but within easy reach of the town centre and nearby Salisbury. So, if you're looking for a brand new home in an ideal location, look no further! Buses run regularly from Amesbury to Salisbury, Swindon and Andover. The nearby A303 leads to Andover, 14 miles and junction 8 of the M3. Take the A338 for Marlborough, 23 miles and junction 15 of the M4. From Amesbury the A345 links to Salisbury, 9 miles and from there the A36 gives access to the M27 and Southampton. Trains run direct from Salisbury station, 8 miles, and from Grateley, 8.5 miles to London Waterloo. National Express Coaches also run thrice-daily services to and from London. For air travel Southampton airport is 32 miles and Portsmouth ferry port is only 50 miles. By car King's Gate is just 75 miles from London. To the south of Amesbury town is Archers Gate, named after the Amesbury Archer who was found near there. A sculpture depicting the Archer stands in the arcade at Archers Gate and a fantastic town mosaic can be seen, telling the story of Amesbury. Amesbury has a great choice of local shops and a weekly market to cater for all your daily needs. For further choice Salisbury has three shopping centres, The Cross Keys, Old George Mall and The Maltings all offering renowned High Street brands, while Solstice Retail Park include a range of house hold national brand names. At Andover the award-winning Chantry Centre offers more than 40 stores and The Wilton Shopping Village, 10 miles, offers scenic riverside shopping and arts. From Amesbury it's a bracing two mile walk across the historic landscape to the World Heritage Site of Stonehenge. Afterwards see Britain's largest Mesolithic collection at Amesbury Museum and visit the Grade 1 listed St Mary and St Melor Church. You can enjoy a scenic walk along the pretty River Avon and there are plenty of pubs, cafes and restaurants for re-fuelling! Amesbury Sports Centre offers a range of indoor activities and the Bowman Centre hosts community-run classes and clubs for all ages. The town has its own football and cricket clubs and King's Gate itself will include a range of leisure and sports facilities. For a night out featuring top acts, theatre, cinema or nightclubs, nearby Salisbury holds a Purple Flag award as an entertainment centre. There are three primaries and one senior school in the town. The Amesbury Archer Primary School, The Amesbury Church of England Primary School and the Christ the King Roman Catholic Primary School, the latter two both have Ofsted 'good' ratings. The Stonehenge School, a mixed comprehensive, is a specialist mathematics and computing school with an Ofsted rating of 'good'. In Salisbury the South Wilts Grammar School for Girls and Bishops Wordsworth's School for boys are both rated 'outstanding' by Ofsted and Wiltshire College in Salisbury offers full and part-time courses including full Honours degrees. At King's Gate, Amesbury we are putting £1,950,000 towards schemes and projects to support the local community and we will continue to work closely with the council to deliver these improvements. 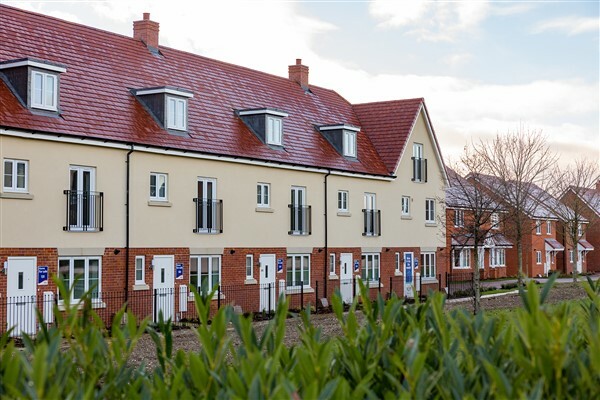 Since the company began in 1885, Bovis Homes has been evolving its property designs to fit with modern living, and this is continuing over 130 years later, with the local housebuilder’s stylish three-storey homes proving a hit with buyers at its popular new Wiltshire location. Follow the signage to Bovis Homes at Kings Gate.